Delivering “News That Expands Views” via real-time and archive visual news content to all media, Ruptly pushes the boundaries of video journalism, using the latest newsgathering technology. Ruptly offers readily-edited video packages through Video Feed, operational facilities and broadcast services through Ruptly Ops, and direct access to global events via live streaming through Ruptly Live. The agency is recognised for its work by the German Stevie® Awards in 2019, winning gold for Ruptly Live platform, by the Drum Online Media Awards in 2018 for Commercial Team of the Year and for Best B2B News Site in 2017. The Ruptly news team is composed of talented and agile industry professionals, who have decades of experience with some of the world’s largest agencies and established news networks. Our editorial staff have a proven track record – breaking the biggest stories, finding the unpolished gems passed over by other teams and enduring great challenges and hardships in the quest to bring audiences memorable visual content. In addition, our dedicated client management agents and consultants work with our clients to understand the needs of their business, and to bring them the most appropriate content that will resonate with their audience. Ruptly began operating fully in April 2013. From the outset, Ruptly has striven to provide a competitive alternative to other news agencies, committed to delivering exclusive high-impact and viral videos, a varied selection of daily live feeds, and a full range of broadcast services. We continue to expand a rapidly growing global network of permanent bureaus and stringers to offer a wide selection of hard-hitting stories from the world’s most dangerous conflict zones, to viral footage of the best light news stories. 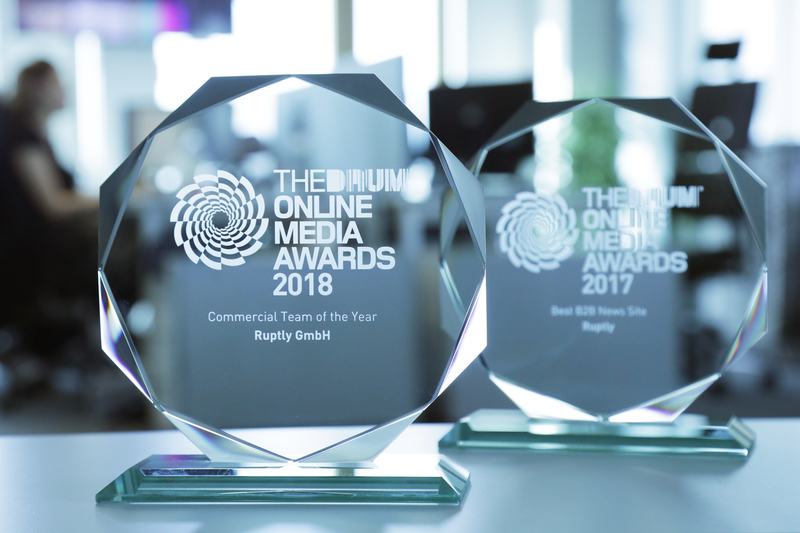 In 2017, Ruptly was named the “Best B2B News Site” at the prestigious Drum Online Media Awards, and nominated for the DC Global Media Innovator award. Ruptly news producers on the ground are committed to bringing you the most compelling stories from around the globe in a range of different formats. Live streaming – We can offer direct access to live global news events as they are happening, with our live streams available straight from the camera on the ground to your newsroom and on social media. Video on demand – Television news broadcasters and online news media can quickly and easily access ready to use footage as the story breaks. Whether hard-news or features, our expansive archive of exclusive and partner-provided video content is searchable by keywords, geographic location, news category and topic. Broadcast services – Our television facilities and operational support worldwide allows you to produce compelling content in far-flung areas of the globe without investing your own valuable technical and human resources. We use the latest in broadcast and newsgathering technology to get you closer to the action and more up to date with the latest breaking news around the globe. Our teams are equipped with devices that let them push the boundaries of video journalism, whether it is drone footage of protests, 360 degree videos from out of space, the highest-resolution pictures of world news events or once-in-a-lifetime happenings captured on a smartphone. Berlin, 7 March 2019: Global Multimedia Agency Ruptly has won top prize for its Ruptly Live Platform at the German Stevie® Awards. Ruptly was awarded a Gold Stevie® Award in the Video Platform for Media and Publishers category, which recognizes the best platforms designed specifically for media, publishers, and information providers who publish, distribute, and monetize video assets. The innovative Ruptly Live platform enables publishers to license and instantly stream multiple live events direct to social media in just three clicks. The platform supports live streaming of up to 9 simultaneous events at once, as well as 360-degree videos. Gold, Silver and Bronze Stevie Award winners were selected by about 50 executives who participated in the judging process. The winner of the Grand Stevie® Awards will now be determined from among all winners. The Grand Stevie® winner will be announced at the 3 May ceremony in Munich. Global multimedia news agency Ruptly wins Commercial Team of The Year at the annual Drum Online Media Awards. Ruptly LIVE, shortlisted for Technical Innovation of the Year, is highly commended by the judges. 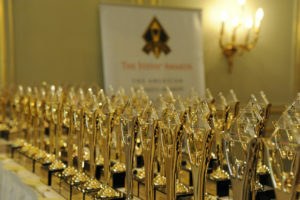 The awards ceremony took place on Tuesday 22 May at the Marriott in Grosvenor Square, London. Going up against Minute Media and Quartz, Ruptly was able to demonstrate a solid effort in growing its international client base among broadcast and online content publishers, winning the award. Ruptly Live, which enables publishers to license and instantly stream up to 9 simultaneous live events direct to social media, including 360 live video, was shortlisted for Technical Innovation of the Year along with projects by Facebook and Ubisoft, CNN, The Times, Telegraph Media Group, TRT World, Radio Mitre and Harrods. While the award went to The Times, Ruptly and Telegraph Media Group were both highly commended by the judges. Chief Commercial Officer, Matthew Tabaccos, highlighted that Ruptly is able to provide a service not only to big broadcasters, but also to fuel the output of new voices across the world that do not necessarily have the “cash to spend”. “We are keen to be able to scale a global agency in a collaborative process, and we are proud that our team has been recognized for commercial awards which shows our daily hard work to provide news that expands views across multiple platforms,” he said. “The award gives Ruptly confirmation that we are growing the agency in the right way, by spending time with clients, listening across markets to their individual needs”. Last year Ruptly received the Best B2B News Site Award by The Drum.